Taking learning beyond the classroom is very important and at Brillantmont, the teachers like nothing better than to show new cities to our students, so they can discover them together. 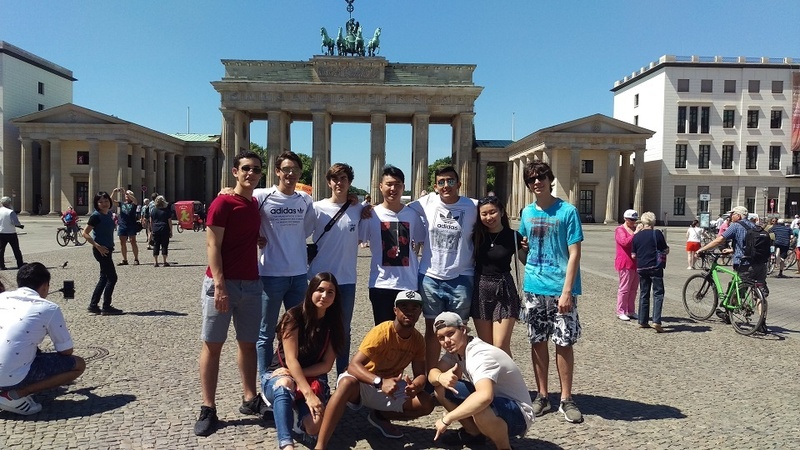 With that in mind, a small group of students headed to the German capital, Berlin - a city which has played a key role in modern European history. Their busy schedule had a fun edge as they had a cross-city treasure hunt, with specific information to seek out during their week. The students stayed in Alexanderplatz, which bears witness to Berlin's political upheavals. Since German reunification in 1990, this famous square has had a huge overhaul, bringing it in line with the modern city but there is still lots of evidence of it's chequered history.The architecture was radically modern for the time and designed to impress the world. What better place to immerse the students in this exciting city? Accompanied by Maths Co-ordinator, Mr Kennedy (and German teacher, Mrs Kottsieper) Mathematical skills were tested, as students measured angles between monuments and over the course of the week mapped and calculated angles and distances between famous sites. A city bike tour was another great way to explore the city, as well as having fun! The group packed it all in - Panoramapunkt, Potsdammer Platz, the Reichstag, Angela's Merkel's apartment, the Victory Column, Checkpoint Charlie, sections of the remaining Berlin Wall, Berlin TV Tower and encounters with all sorts of famous figures, including a famous mural of Brezhnev kissing Honecker. For Valerie, one of several graduates, it was her last Brillantmont trip, so was particularly special, now that "the end is upon us!" 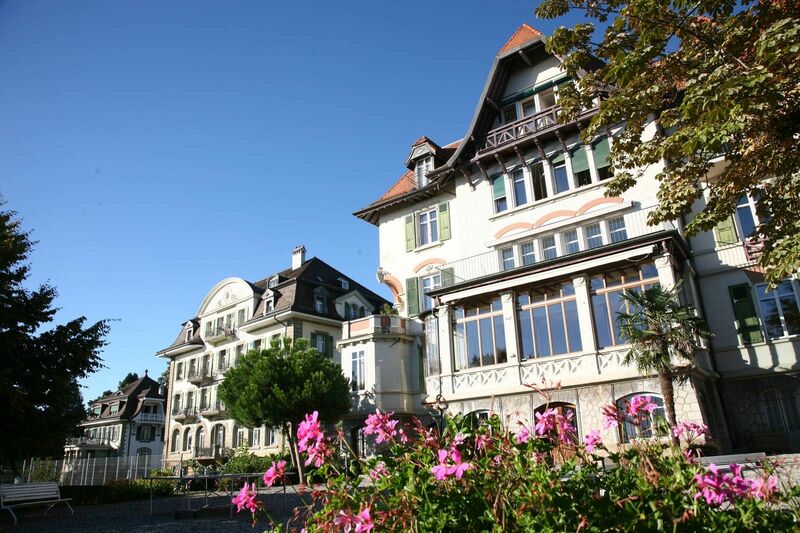 Summer Course at Brillantmont: lots of fun in store! 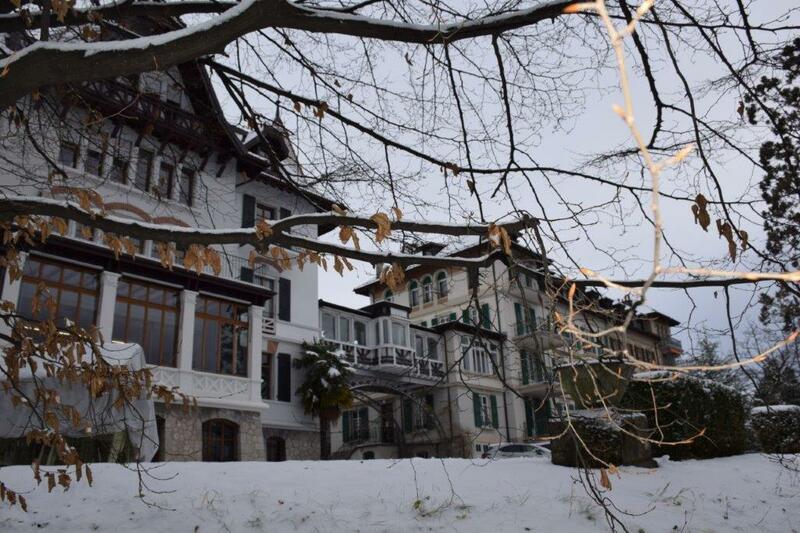 The Brillantmont Summer Course kicks off in a few weeks and we are very excited to welcome students from all over the world to the Brillantmont summer family. The BM summer school is well known for creating a great balance between studying and having fun. Maybe your child is considering starting boarding school and you want them to get a taste of what it is like to live away from family, or maybe your child has been going to summer school abroad for a number of years already and can’t wait to go back again. Whatever your situation, our Summer Course has something for everyone. Click below to watch the link to our Summer Course film. A year reaching its end is a time for reflection and celebration. Nowadays, it is not uncommon to change jobs every two years, moving from one challenge to another. That is not the case for the staff at Brillantmont. The size of the school means that the range of tasks and jobs to be done is always varied and changing, as the school constantly evolves and moves forward. Consequently, several staff members have been at the school for many years, which ensures continuity and a long-term vision. Nobody embodies this better than our Director, Mr Philippe Pasche, who this year celebrates his 40th year at Brillantmont. He began working at the school as a young accountant, also teaching commerce and sports. He has always been eager to develop students' interests beyond the classroom and, as an accomplished sportsman, to get them moving! Particularly keen on skiing, he has shared many memorable moments on the pistes and some people might not know that he is in fact a qualified ski teacher. He always looks forward to joining the students during their week long ski trip, which in February 2018, is to the village of Zinal. Working closely with the owners of the school, the Frei family, Mr Pasche's role has evolved over the years and on the retirement of Mme Frei, who had been Head for over 40 years, he stepped into the role of Director General. With the support of Deputy Director Ms Boland, he successfully leads Brillantmont forward. As we celebrated him at a recent dinner, he reflected on his years and his journey within the Brillantmont family. The way the school has changed and developed over the years, always trying to keep excellence and the students' success and well-being at the centre of our vision, has given him immense opportunities to develop talents and competence in many domains. The demands of his role and leading a community of 200 people means that life is never dull and proves that "variety is the spice of life." Surpassing everything however, is his respect and affection for the students and the satisfaction he gains in seeing them mature and develop is the greatest reward he could wish for. We would like to congratulate him on this milestone anniversary and thank him for his years of commitment and passion for Brillantmont. The first term at Brillantmont has whizzed by with many exciting events paving the school calendar. The first few days, when we welcomed new students, on their first experience away from home, seem a distant memory. Our students are now well and truly immersed in school life and part of the BM family. After the first weeks of hard study, the October break to Nice and Verona provided a welcome taste of European dolce vita. 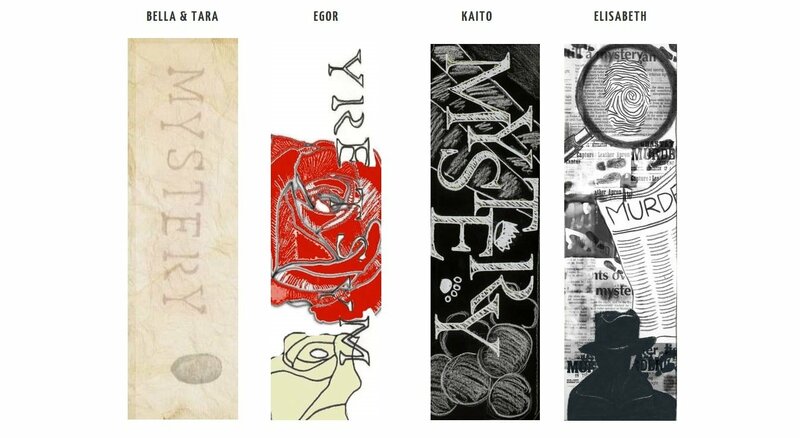 Back in school, the annual Reading Week celebrated the power of words and brought out our students' creative sides. The ever popular Model United Nations trip to Singapore provided unique opportunities to develop leadership and group work skills. 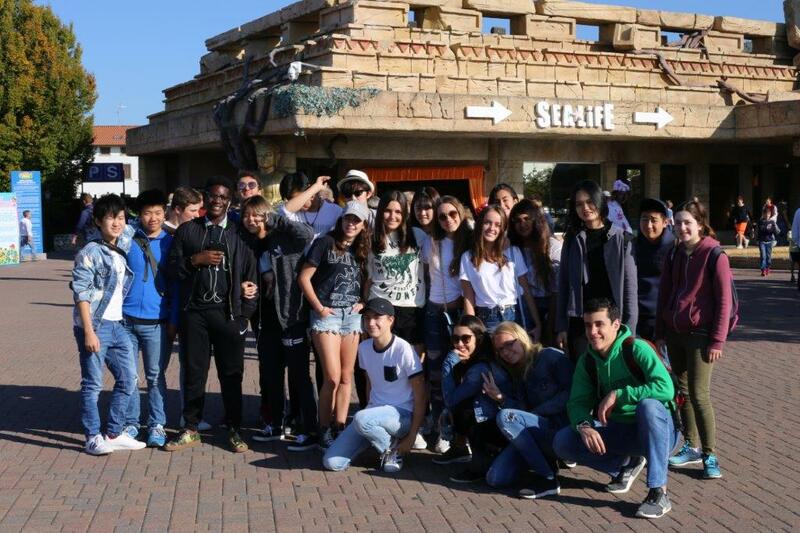 Habitat for Humanity have worked tirelessly on fundraising events to support their upcoming building trip to Portugal and et's not forget the numerous trips, international evenings and learning projects which have also filled this term. 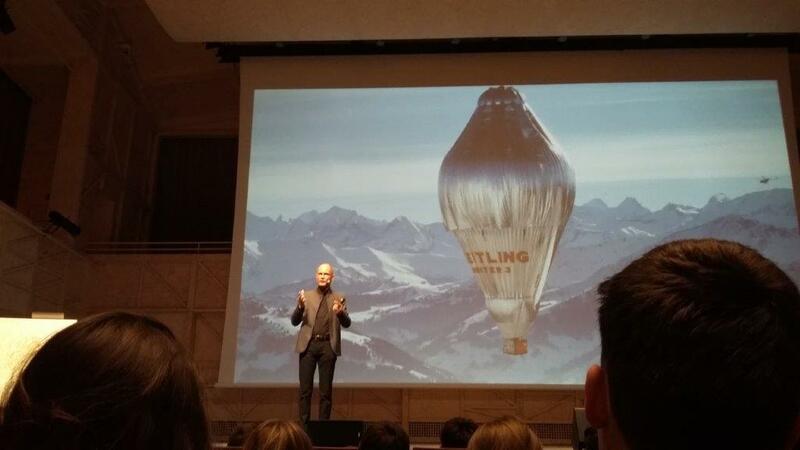 Brillantmont students had the fantastic opportunity last week to attend a presentation by Bertrand Piccard, the famous Swiss explorer, whose accomplishments are part of a long-standing family tradition; his father Jacques was a pioneer in oceanography and his grandfather Auguste was an extraordinary physicist, perhaps best known for stratospheric balloons. Bertrand's own desires to push back the boundaries of exploration reached new heights, literally, when he became the first man to successfully circum-navigate the globe, non-stop, in the Breitling Orbiter 3 hot air balloon. In 2015, he accomplished the first round-the-world solar flight in history in his Solar Impulse 2 aircraft, which was designed in collaboration with Lausanne's EPFL. Through his exploits, he is keen to share his concerns about today's world - sustainable development, poverty, climate change -and in so doing, stimulate discussion and ultimately promote concrete actions leading to change. Brillantmont students were very enthusiastic about his presentation, which proved most thought-provoking. Ben says, " He addressed the fear that you have in certain situations and explained why he has lived his life in that way. Clearly, it's important for him to live his dreams and he told us also that we should live ours." Megan added, "He got straight to the point and explained that you should be confident in your own abilities. If someone tells you something can't be done because it's never been done before, that's the worst excuse, because it means there's someone in the world who can do it. He made us realise that if we don't take affirmative action, there won't be any changes in the world." Piccard's environmental concerns resonated with Bettina, who shares his view that " in Switzerland, we are very aware of recycling and maintaining a clean atmosphere; being able to move away from non-renewable sources of energy in the future is important. " Her feelings were echoed by Andreas, who says, "I'm going to live in the future and my children too, so the future we create is important to me." Let's hope that such an inspiring presentation will lead BM students to be engaged and committed actors in the destiny of the world around us. 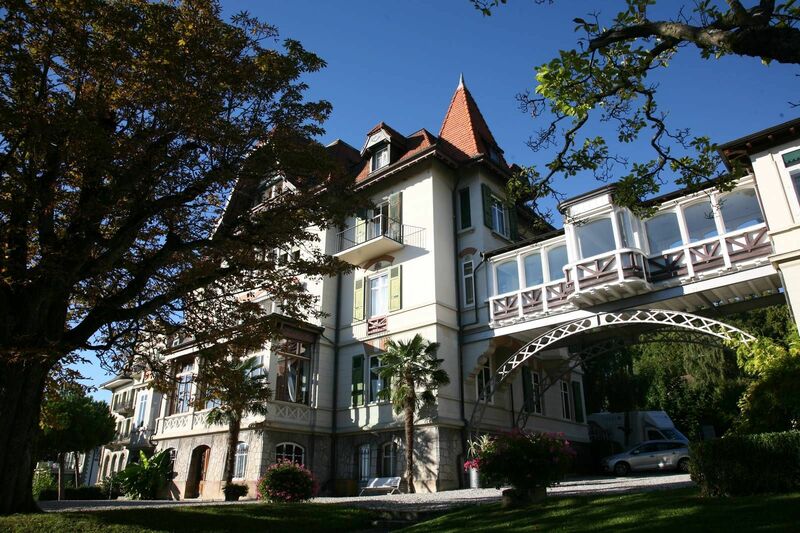 Over the course of building and expanding our ever-more-popular school blog that explores all aspects of boarding school life, we have spoken with many parents, students, staff, teachers, and alumni about what makes a top Swiss boarding school. Some strong themes have come out of these discussions and interviews over the years. One of the big ones is that the size of your boarding school has a huge effect on a student’s learning experience and level of connection with teachers and other students.